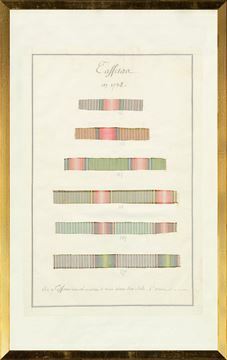 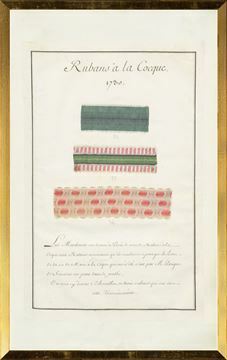 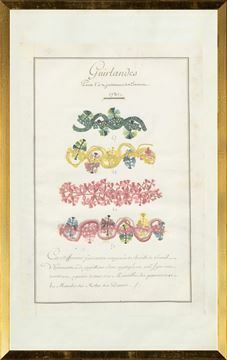 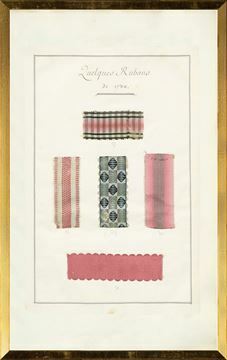 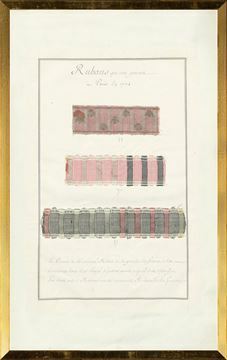 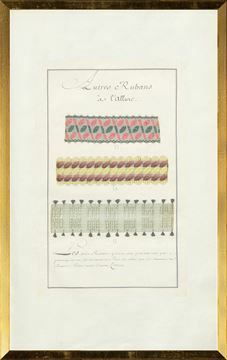 Nine fine, eighteenth century fabric and ribbon designs. 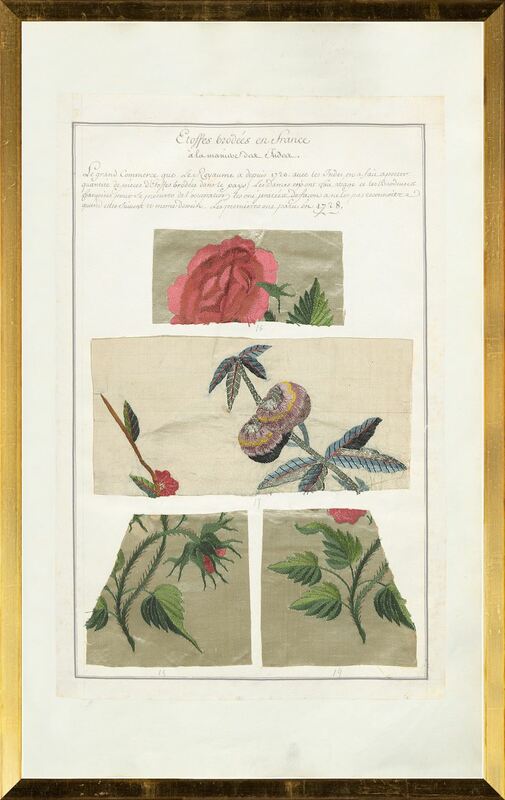 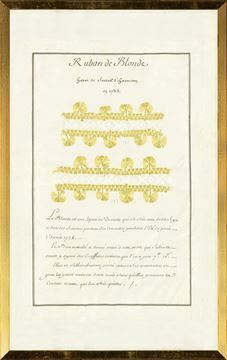 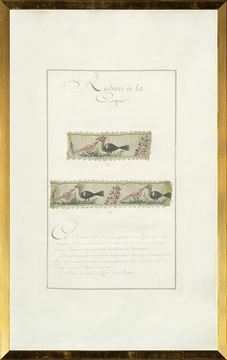 Nine delicate 1700-era French fabric samples with hand written notes. 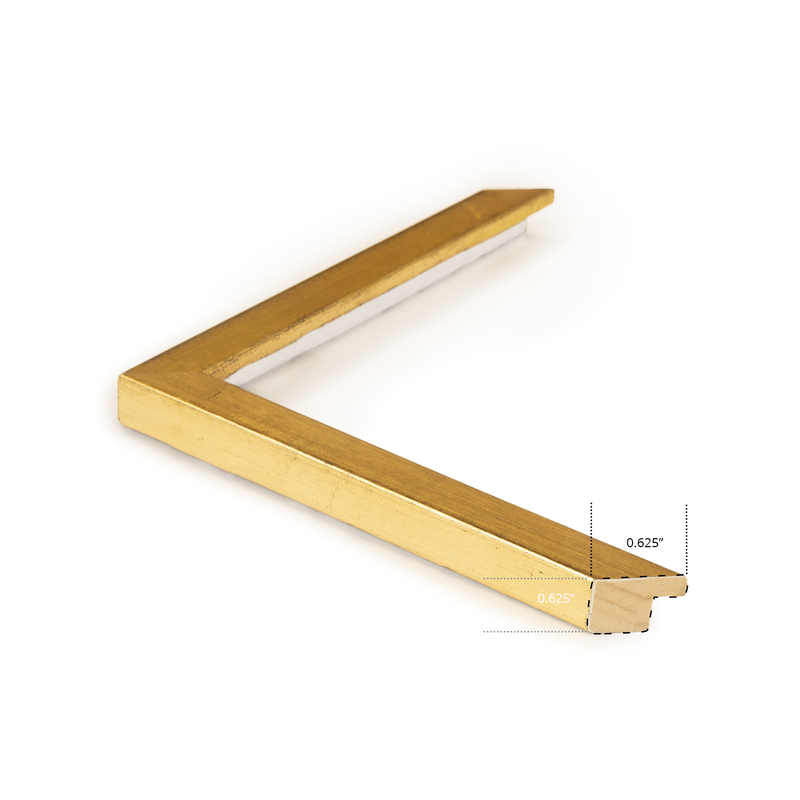 Perfectly set within a fine gold gild frame for an elegant presentation.